Serving families in the Bowie, Upper Marlboro and surrouding communities for 27 years. Our schedule & fees can be found under the enroll tab. We are continuing to enroll students where space is available. Please contact us for information on enrolling in classes. We have classes for all ages, abilities, levels and goals! Dance Expressions provides our dancers with a well-rounded dance education emphasizing technique and artistry, not just choreography. Students will learn body awareness, correct alignment, quality of movement, and classical dance terminology. Classes will always include proper warm-ups and progression of movement, thus promoting healthy dancers, and protecting them from injury. We believe dance will not only teach your child movement and music appreciation, but will also develop poise, confidence, and discipline. We strive to instill the values of hard work and commitment through the art of dance. Our hope is that these life-long principles will shine in our students' dancing as well as their everyday lives. Dance Expressions opened in September 1991 with the goal of providing a quality dance education in a positive atmosphere. Staffed with an exceptionally talented and qualified faculty and full time director, Dance Expressions prides itself in being among the best dance studios in Maryland. Dance Expressions was founded by Mrs. Kathleen Kleiber in September 1991 with the goal of providing a quality dance education in a positive atmosphere. Mrs. Pamela Schrier, who has been with the studio since its opening, took over as Owner and Director of the studio upon Kate's retirement in January of 2009. Pam continues to uphold the vision and traditions of Dance Expressions. 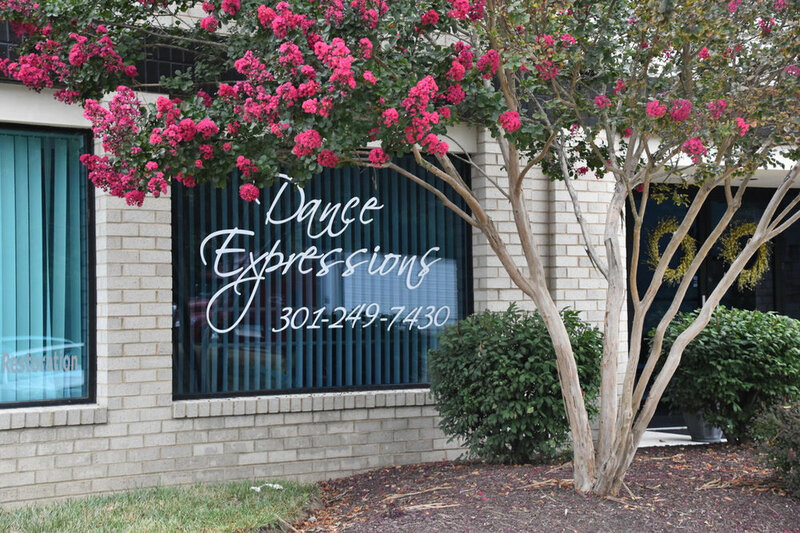 Staffed with an exceptionally talented and qualified faculty, Dance Expressions prides itself in being among the best dance studios in Maryland, as well as a nuturing place for children to dance, grow and be inspired.